Channel 2: Clinton told Netanyahu to cancel project, make gestures to PA, declare talks will include all core issues. Video tour: Ramat Shlomo. The United States administration has presented Prime Minister Binyamin Netanyahu with a set of demands, including cancellation of the construction of 1,600 housing units in the Jerusalem neighborhood of Ramat Shlomo, Channel 2 reported Sunday night. According to the report, which is quoted by Maariv/NRG, Secretary of State Hillary Clinton told Netanyahu to cancel the housing project that passed a bureaucratic hurdle just as Vice President Joe Biden visited Israel, causing an emotional response from the United States. She also demanded that Israel carry out a “meaningful gesture” toward the Palestinian Authority chairman, Mahmoud Abbas, before the Special US Envoy to the Middle East, George Mitchell, visits the region on Friday. Reporters said the gesture Clinton was referring to was probably a release of terrorist prisoners. A third demand made by Clinton was that Israel declare that the negotiations with the PA will include all of the “core issues” that are in dispute between Israel and the PA. 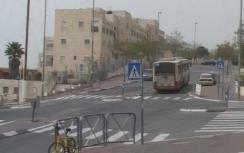 Meanwhile, the residents of Ramat Shlomo seem unperturbed by the brouhaha around their neighborhood, and would like to see the prime minister “show some spine” on the matter. Yeshiva students who spoke to Israel National TV's Yoni Kempinski sounded quietly confident about their right to live in Ramat Shlomo. Shimon, a student in one of the many yeshivas in the neighborhood explained, "The truth is that Jerusalem is ours – we feel here the same as in Geula, and Me'ah She'arim, other neighborhoods in Jerusalem." "I don't think we need to respond to any nonsense spoken by a person from the United States, who doesn't understand the complexity of life in the state of Israel" added Daniel, another yeshiva student, "Our right to the land is undisputed." "This is one of the most beautiful haredi-religious neighborhoods in Jerusalem, if not the most beautiful," determined yeshiva student Shmuel. "Today there is a serious housing shortage in Jerusalem and the new housing units are very necessary. I think units are very necessary. I think that there must be a clear statement: Jerusalem is ours and no one else's!"